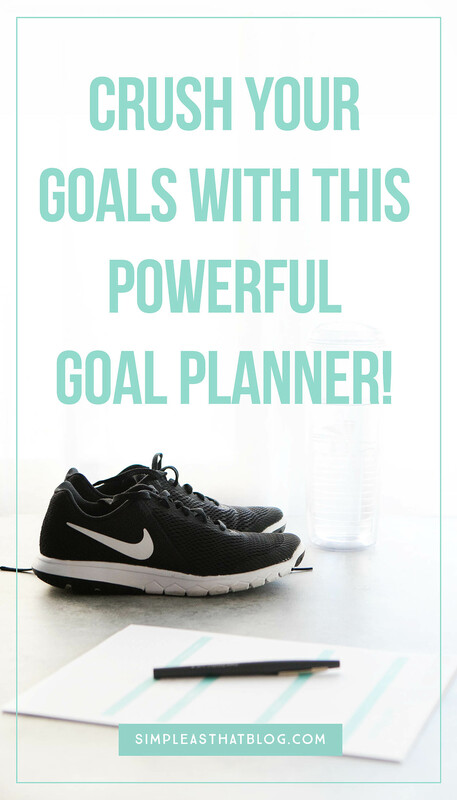 Crush Your Goals with this Powerful Goal Planner! 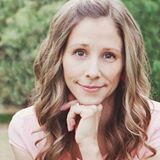 Get ready to crush your goals with this powerful goal planner! It’s functional, concise, and printer friendly. This is a tool that will help you move from simply setting goals to actually achieving them. Like you, I’m looking ahead to a fresh start, a blank calendar, and a mountain of possibilities for the year ahead. I’ve always been a goal setter, and the New Year brings a lot of excitement as I think about what plans I want to make for my life over the coming twelve months. There’s power in a fresh start. 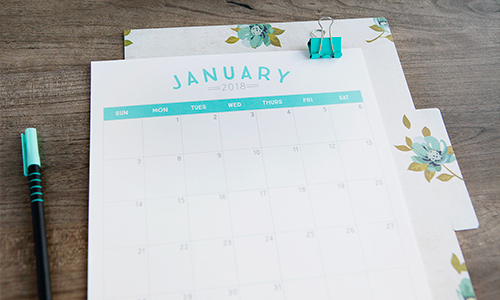 Whether it’s a move to a new home, the beginning of the school year, or the newness of January 1st, a fresh start brings a boost of energy that can serve as an incredible catalyst—if you let it. A fresh start can motivate you to get things done, drop old habits, and form new ones that are in line with your priorities. Lofty dreams can fade and motivation wane not long after January 1st. But don’t get discouraged; instead, expect setbacks in the process. It happens to all of us. Even though I’m not perfect at sticking with the goals I make for myself, I still believe in their power, because in setting them, I always make it much further than I would have had I not set them at all. Whether you’re setting personal goals, goals for your career, or goals for your family, the key to success is a plan. 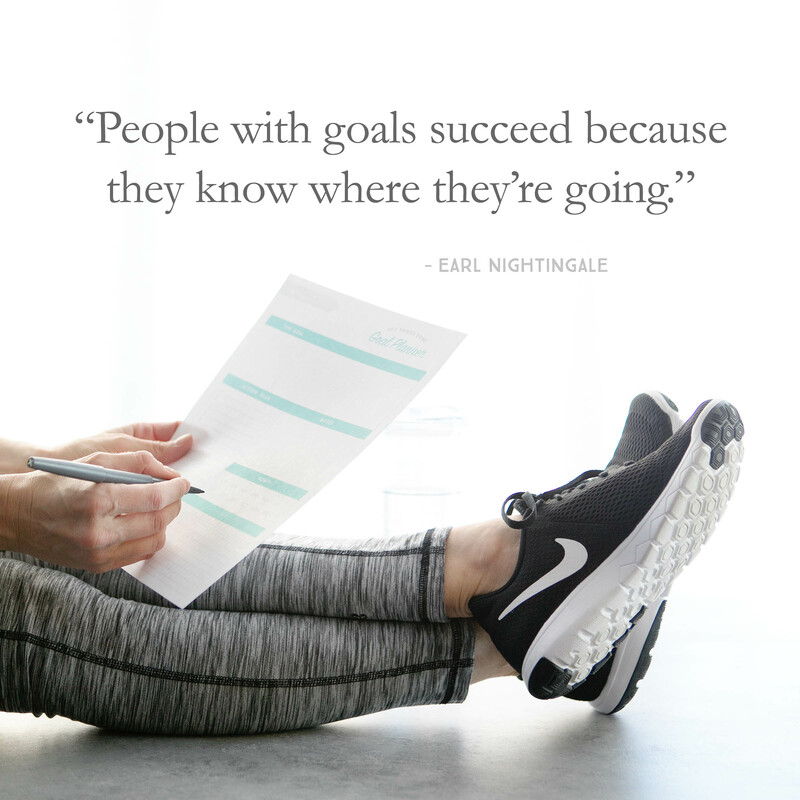 Without clearly spelling out your goals, they’re sure to fade away as the novelty of a new year wears off. To avoid this, clearly identify your goals, articulate a step-by-step plan, and write that plan down. Putting it on paper solidifies your commitment and gives you a visual representation of the goals you want to work toward. 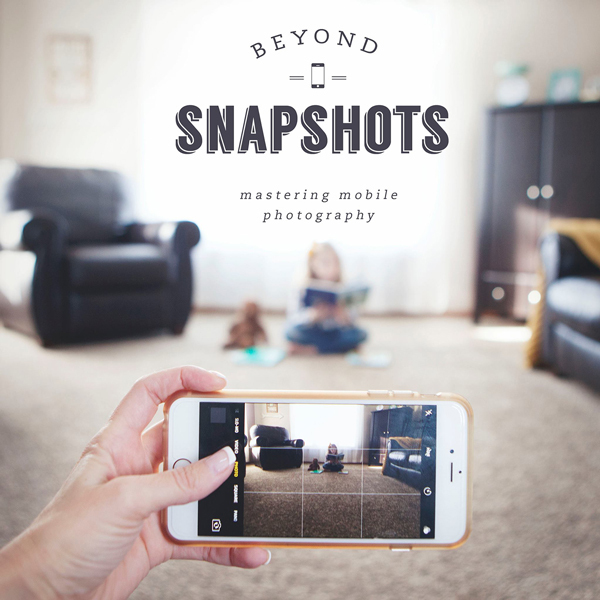 This is where our printable goal planner is a valuable tool. 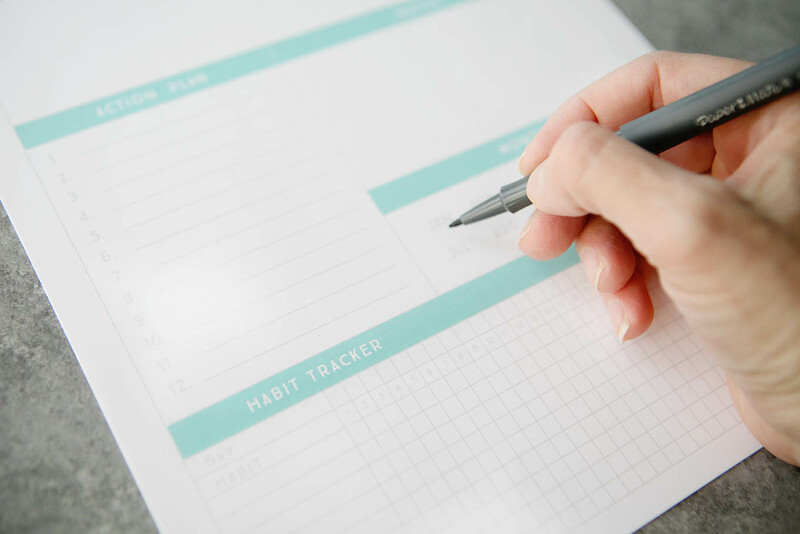 Not only does this handy worksheet have a place to record your goals, you can also write down each of your action steps for achieving them. 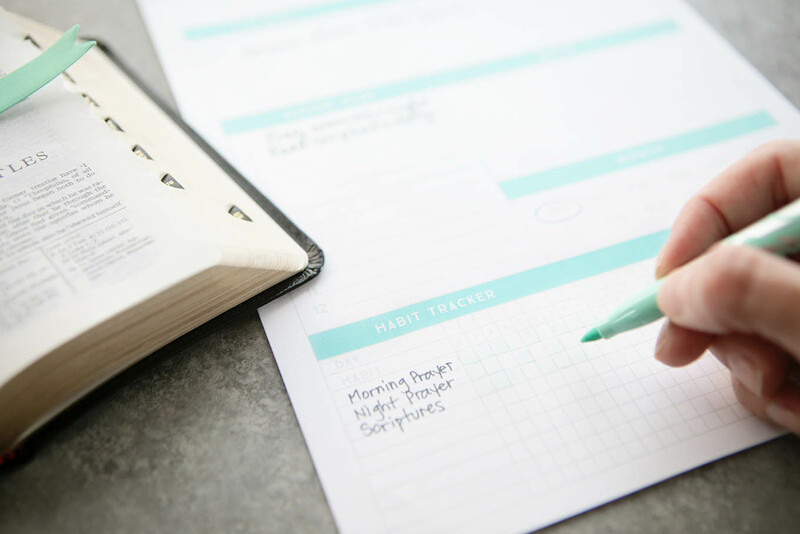 You can even make notes as you go along and track your progress with the habit tracker. 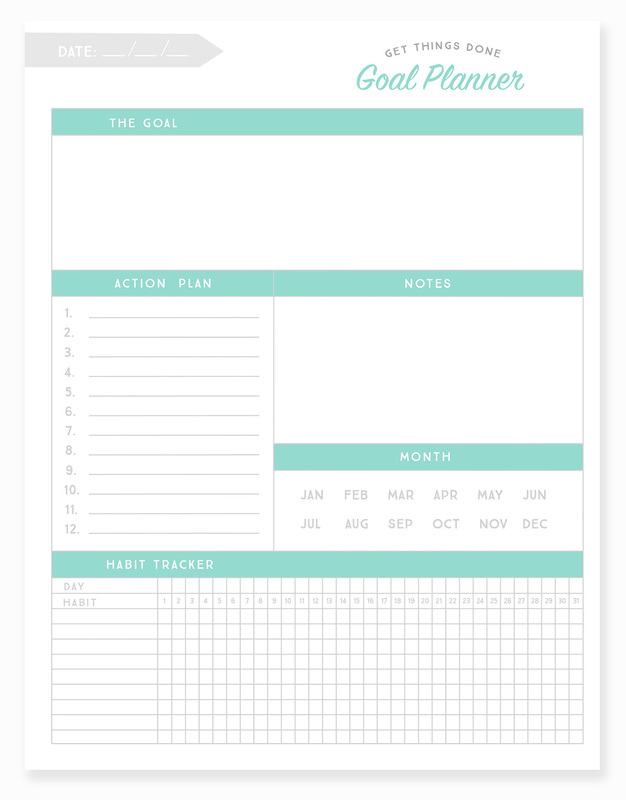 This goal planner is generic in nature and can be used for any type of goal you’re making. Business, family, long-term, short-term, spiritual, physical. If you’d like to download our free, printable goal planner, enter your email address below, and you’ll be redirected to the download area. 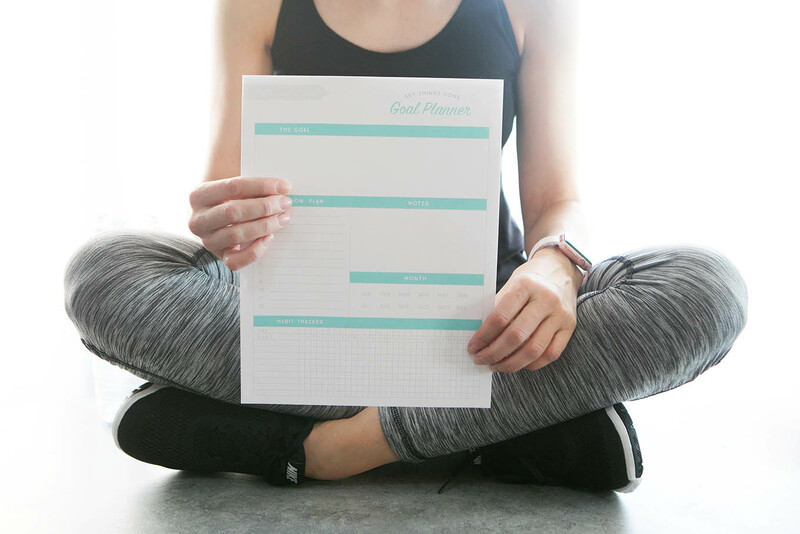 Download our FREE Goal Planner! Once you’ve printed your worksheet and filled it out, my last suggestion is to put it in a place where you’ll see it—continually. 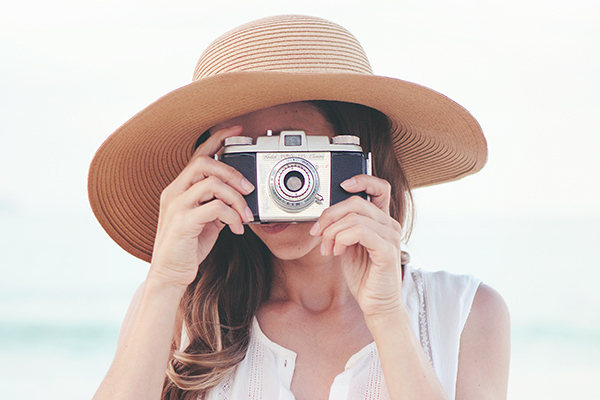 Set it on your bedside table, pin it to the fridge, tape it on your bathroom mirror… Display it in plain sight so it can visually remind you of your goals every day. Here’s to setting goals, putting a plan in place and making this year your best yet! Thank you so much! these will help a lot.